IRS Whistleblower Program - Success or Flop? 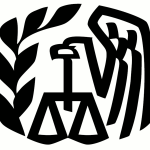 IRS Whistleblower Program – Success or Flop? IRS Whistleblower Program Pays $315 Million in Awards! So who is right? Is the IRS whistleblower program a smashing success or disappointing failure? Both are correct. I hate “splitting the baby,” but in this case, a mixed review is warranted. As I have written before, the IRS whistleblower program got off to a very slow start. People within the agency hated in. I suspect many still do. In our opinion, the blame falls on the doorstep of the IRS Chief Counsel’s Office. Although Congress breathed new life into the program almost a decade ago, in 2010 top managers within the Service were still publicly taking shots at the program. Luckily, the head of the IRS Whistleblower Office is a true believer and his efforts are starting to gain traction. Folks in the Criminal Investigations Division have also been supporters. The bad news is the program appears badly managed according to the Government Accountability Office report. Inadequate tracking, poor communication and excessive delays in getting awards out. The problems are magnified because of IRS confidentiality rules. Because tax return information is protected by law, whistleblowers are already limited in what information they can receive. Couple that with poor claims tracking and internal communication issues and whistleblowers feel like the program is a giant black hole. A one way street where information enters but there is seemingly no feedback or money coming back. A key element of the GAO report is the lack of anti-retaliation provisions. That fault lies with Congress and the administration, not with the IRS. Both the SEC whistleblower program and the False Claims Act have robust anti-retaliation provisions. The IRS program has none.